Most of the Dog owners are familiar with Common Dog Behavioral Problems, and they think these are natural behaviors. But knowing how to apply the correct solutions, you can prevent these problems. Several reasons may lead your dog to bark excessively, a few of them being fear, loneliness, separation anxiety, territorial reasons, and boredom. It takes time to make your dog bark less. If you start shouting to stop your dog from barking, it will have the opposite impact. It usually stimulates a dog to bark more. So, the best way to go about is to handle things calmly. Say ‘Quiet’ in a calm, but firm tone. Wait until your dog stops barking and once he does so, immediately praises him and give him a treat. Another way to control your dog’s excessive barking is to make him learn when to ‘speak.’ Once he starts to bark, to stop him, teach him a different command to stop barking, such as ‘quiet’. Hold your finger to your lips while doing so. Practice for this command when your dog is calm. In time he will learn to respond and cease barking at your command. 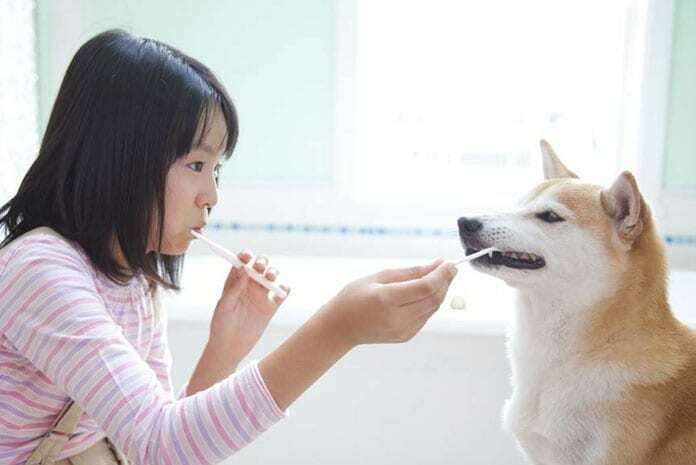 Chewing is natural and perfectly healthy for all dogs. They love to chew on things that are available. They chew for fun, stimulation and even to relieve anxiety or mild frustration. 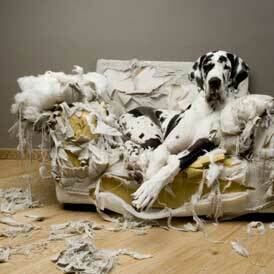 While this behavior is normal for them, dogs may chew inappropriate items and cause destruction. One way of handling such a situation is to ‘dog-proof’ your house. Put all the valuable objects away from your dog’s reach until he has developed a habit of chewing on appropriate items. Provide enough inedible chew bones and toys to your dog. Besides this, you can also give him some edible things to chew on, such as bully sticks or bones. 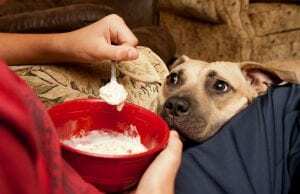 As has been mentioned about dog supplies experts on topdogtips.com website, most dogs like to eat the same types of foods that we do, which often causes them to develop a bad habit of begging at the table for food. You cannot blame your dog for begging for food at the table but, most owners do not like such behavior from their pets. You can prevent your dog from showing such behavior in two ways. Either control his access to the food table or teach your dog to concentrate on something else while you are having a meal with your family. You can use a baby gate to confine your dog in another room while you are eating. You can also crate-train your dog and put him the crate while you eat. If you do not like to confine your dog, you can make use of command words to restrain him. You can use ‘stay’ or ‘down’ basic commands or you can designate a spot for him to go whenever you sit down for a meal. Different reasons can cause a dog to become aggressive, with reasons such as no good socializing skills, possessiveness, fear, and defensiveness being a few of them. 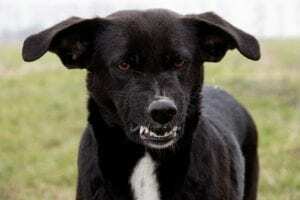 An aggressive dog can become very dangerous for people and other pets around him. When your dog is acting aggressively, he may show series of increasingly intense behaviors, such as becoming extremely rigid and still, growling or barking in a manner that sounds threatening, snarling, biting with enough pressure to tear the skin or cause a bruise and lunging forward in an intimidating way. It is important to observe your dog’s behavior and whom he is acting aggressively. Working with your vet often helps in aggression cases. Some dogs show aggressive behavior when they are suffering from different medical conditions. 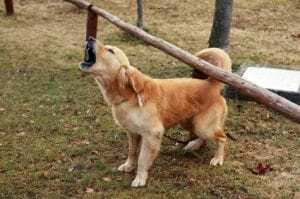 It has not been confirmed whether a dog can be completely cured of such a behavioral problem, but some forms of aggression can be reduced very well. However, the best way to manage an aggressive dog is to limit his exposure to people, situations and other things that may trigger such a response.